“I hate to run.” Is usually the response I get when I talk about running marathons. If they only knew that running a marathon, especially running a course for the first time, was much more than just running than I’m positive they would be in love with the sport, the runners high and the feeling of camaraderie as well. The MetroPCS Dallas Marathon will be my third marathon and I couldn’t be more excited to run a race in my new hometown of Dallas. Over the years, I’ve found that running each new race is unique and holds its own personality, which is why my approach towards each race is different. My first marathon was all about finishing. Last year’s race was all about improving on time. And my goal for the MetroPCS Dallas Marathon? It’s a bit lofty, but if your dreams don’t scare you then they’re probably not big enough. Right? This year I plan on training to achieve a Boston Marathon qualifying time in hopes of entering for the 2016 race. Now, I don’t know about you all but since I challenge myself with improving speed and pace times for each race, having a relatively flat course is important. Since I’m new to the Dallas area, I had been asking around to gauge if others who had run the MetroPCS Dallas Marathon in years prior thought the course was more on the flat side rather than hilly. The consensus fell on the flat side and I was sold! Plus, the beneficiary of the race is the Texas Scottish Rite Hospital for Children and once you get to mile 22, believe me, you’ll need a dang good reason to think of as to why in the world you need to keep going! One of my favorite things about running is it allows me to get to know a city. With official training beginning in a few weeks, I’ve identified several spots around the city that will help me train for various aspects of race day. Running on the Katy Trail to help me train to bob and weave around runners, White Rock Lake to prepare me for the distance and quick sprint trainings at Germany Park to help build speed. However, I know there must be more great places to run and I encourage you to comment below to give me some pointers as new areas to run keeps me motivated throughout training! 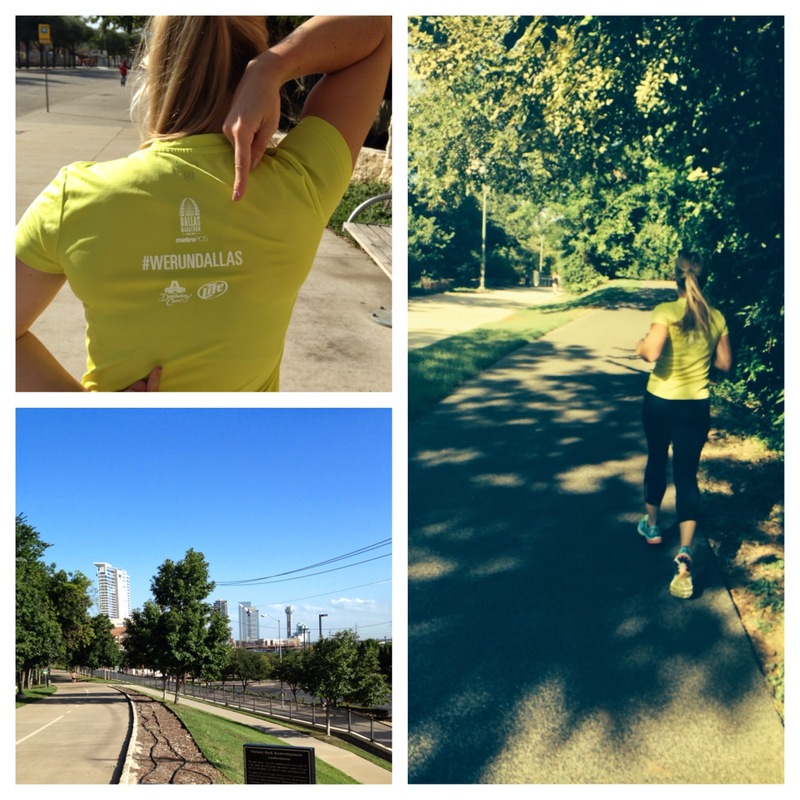 The MetroPCS Dallas Marathon is Texas’ oldest marathon, dating back to 1971. With the course steering runners past some of the city’s most popular landmarks like the JFK Memorial, the Margaret Hunt Hill Bridge and Klyde Warren Park! 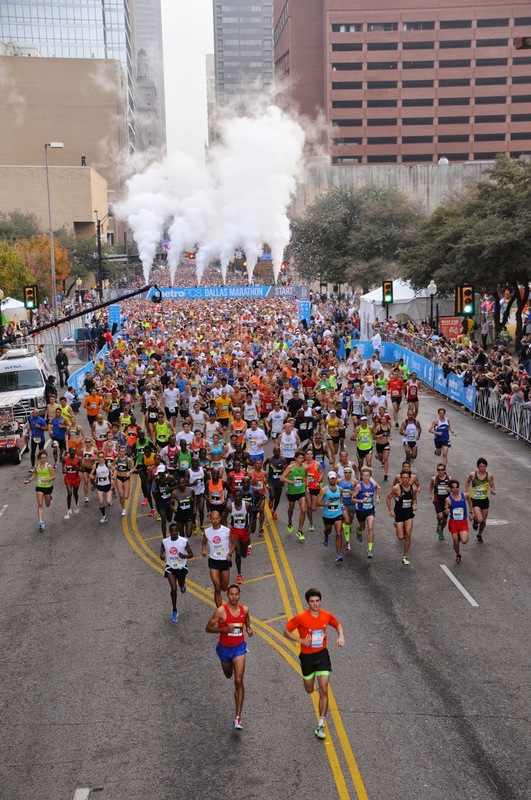 With more than 300,000 spectators cheering along the course, this is one of Dallas’ largest single-day sporting events making it the perfect environment for marathoners of all experience levels. I can personally attest to the importance of the spectators on race day, which is why I am looking forward to running the MetroPCS Dallas Marathon this year on Sunday, December 14. There’s just about nothing that can hold a candle to how motivating high fives, clever signs or thumbs up from spectators can be once you pass mile 20!